enhancing your driving experience, comfort, aesthetics and safety. and outstanding performance features, backed by a lifetime* warranty. Auto-Vision Film offers extensive benefits, colour shades and a professional installation process that is right for you and your vehicle. From increased safety and comfort to improved appearance, our window films will dramatically improve your driving experience. A professional application that can protect you and your passengers, along with your possessions from unwanted prying eyes, reducing the risk of opportunist smash and grab theft. 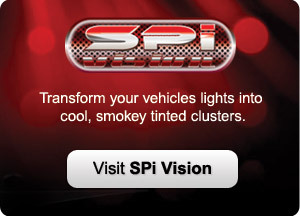 Like sunglasses for your vehicle, reducing intense light on bright days and headlight dazzle at night. Reduces annoying glare and enhances viewing for media screens.